Search engines are the entry points for most sites. Recently I found 2 tools which scan the search results and protects you from visiting sites that spread malicious viruses or spyware. 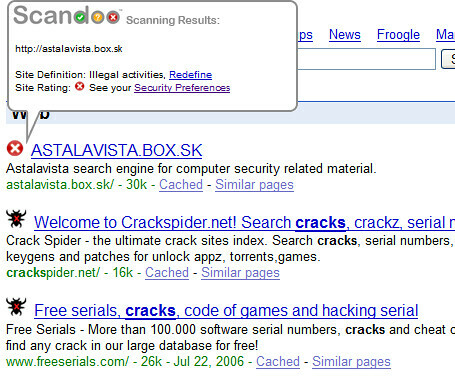 Scandoo integrates with all the popular search engines i.e. Google, MSN and Yahoo. Recently support for Ask.com was also added. When you search for a keyword using any of these search engines, Scandoo other than displaying the search results adds a site safety icon for each search result link. 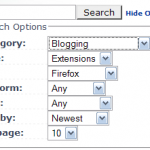 Recently Scandoo also released a browser toolbar. Interestingly the download page doesn’t suggest the browser/browser versions it supports. I downloaded the toolbar and it didn’t install properly in IE 6 ! SiteAdvisor was founded in April 2005 by a group of MIT engineers who wanted to make the Web safer for their family and friends. While traditional security companies had gotten relatively good at addressing technical threats like viruses, they were failing to prevent a new breed of “social engineering” tricks like spyware infections, identity theft scams, and sites which send excessive e-mail. To address this challenge, they built a system of automated testers which continually patrol the Web to browse sites, download files, and enter information on sign-up forms. They then document all these results and supplement them with feedback from users, comments from Web site owners, and analysis from their own employees. On April 5, 2006 SiteAdvisor was acquired by McAfee, Inc. This tool has a firefox plugin unlike Scandoo and there is no need for an additional toolbar. You also don’t need to open a home page like in Scandoo. 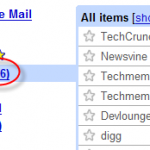 It integrates nicely with Google, Yahoo and MSN search engines. 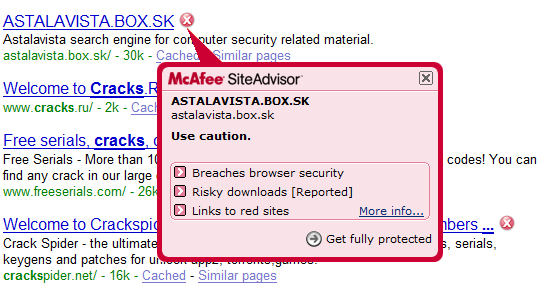 At the end of each search result, a safety icon is displayed. 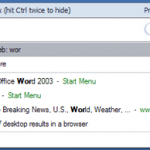 However it didn’t seem to work with MSN Live Search. Additionally, as you browse the internet, a button on the toolbar will change its color based on that site’s security rating. SiteAdvisor also hosts a Site Report page that documents the results of tests on every Web site. 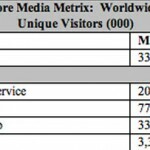 Of the 2 tools, SiteAdvisor seems to have a upper hand. It has a extension for my favorite browser and I don’t need to search by opening one more page (i.e. Scandoo.com).